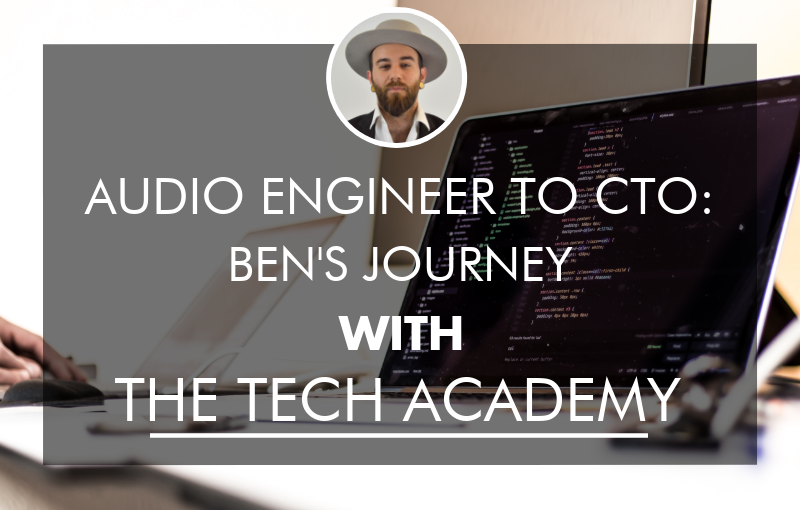 The Tech Academy was an amazing experience and everything that I was looking for when I was looking to switch my career from sales to development. They were always super helpful and very good at describing difficult concepts. Without The Tech Academy I don't think I would have had the motivation or collection of materials necessary to make a career switch. They really did a great job explaining how everything you're learning is applicable on the job. They covered a wide range of employable technologies and tools. At the start of of my time at The Tech Academy I was local and learned at their Portland facility. I then decided that I wanted to learn and progress through the courses remotely which The Tech Academy was able to accommodate with zero hiccups. I am incredibly grateful for the knowledge I have gained through The Tech Academy, 10/10 would recommend. Over all good experience! The job placement course is helpful and the self paced aspect is wonderful for busy people! The instructores are very with it and the environment makes for an excellent workspace! Excellent place to start for someone with no technical background. They will teach you how to learn the basics of a language, as well as a lot of the vocabulary you need to know. Breadth of knowledge--you'll learn 7 different languages. Job-placement programs is top-notch, and will help you with your resume, cover letters, and interview skills. +1 star for this and the following. Very friendly and helpful instructors. Seriously! Can study remotely, at your own pace. Loaner laptop included! Lack of depth in any language--you learn 7 different languages so there's no time to go deeply into any one. You'll learn what an API is but never implement one, and learn what TDD is but never how to do it. Most employers (and the blogs that Tech Academy encourages you to follow) recommend diving deeply into a single language and associated frameworks. Curriculum is weak, although it's constantly being upgraded (meaning you might finish a unit only to find that it just got upgraded). I learned more HTML/CSS in a $10 course from Udemy. You'll learn how to do long division of binary numbers, but not how to write a unit test. Ultimately, it's not a bad school, but you'll have to supplement the education you get here with a lot of stuff they don't teach (or already have a background in tech) if you want to actually find a job in tech. Thank you for the review and feedback! I'm glad you enjoyed working with the staff. We enjoyed working with you as well! As a note, we've made significant upgrades to the curriculum since you had taken the majority of the courses, and thank you for any feedback during that time to allow us to better make improvements. Very well done on landing the job that you got in the Software industry! Best of luck in your future career! I am a student at The Tech Academy nearing the job search stage of my boot camp. My experience has been fantastic thus far at the The Academy. Both the dialogue I have with instructors and fellow students while on campus and the content available for consumption have been engaging and constructive. The curriculum gives you as much as you put into it, with lots of extra references to material to assist you if you stumble. There is one caviat to working with this self paced style of program. If you are not a self starter and motivated person I would not suggest taking The Tech Academy boot camp remotely. I considered working remotely and am very happy I have decided to takle programming in the environment provided on Campus. You are not always sitting in front of a computer while on campus, you can if you choose participate in roudtable discussions both soft skill and technical interview questions weekly. 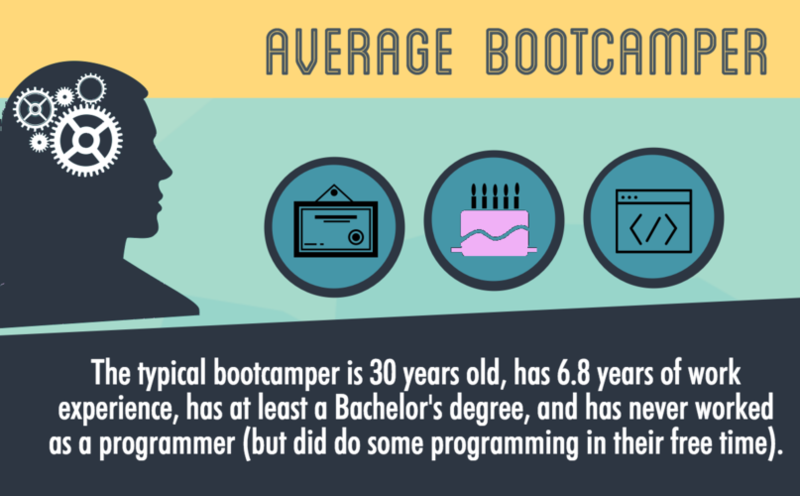 If you intend to make a career change into software development or are just entering the job market I highly recommend The Tech Academy's software developer bootcamp. Before enrolling at the Tech Academy I was working in construction feeling stuck as far as what I wanted to do with my life. I have always enjoyed problem-solving and have had a good inclination towards taking things apart and fixing them. I didn’t really have the right outlet to help me decide on a fulfilling career track. Little did I know how perfect pursuing programming was going to be for me. I came to the Tech Academy with no prior experience in programming, and now I’m confident to say that I possess a strong skill set in full stack development. I was able to maintain my full-time job as well attend the academy, having great help along the way. The instructors are always willing to work with you in a way that enhances your grasp of concepts and practices. The Tech Academy is a dedicated team working with you to become a talented developer. I couldn’t have asked for a better experience or a better group of people to have built relationships with. The Tech Academy really helped me get started on a great career path. 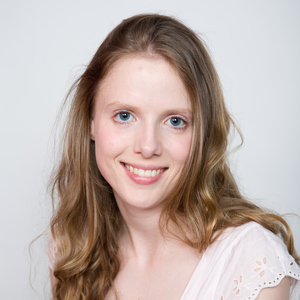 I love hearing stories about being to make the career switch into programming and a more stimulating environment. That's very impressive that you were able to keep your full time job during the day, and make it through our program. That feat takes hard work and dedication. Very well done on your performance, and best of luck to you in your future! So far, this has been a very solid place to learn programming. Even with a background in Electrical Engineering, I found my coding skills were very weak. The instructors on site are all very nice and extremely welcoming. This is the type of program where you will get as much out of it as you put in. There are no real boundaries in place that prevent you from moving on in a course. There are various checkpoints throughout courses that are just there to check your knowledge. It is up to you whether or not you feel that you need to spend more time on a course. Also, do not feel afraid to ask questions. The instructors are there to assist you when you need help. That aside, it IS important to try to struggle through the difficult material first before asking for assistance. As a person that usually requires some time for information to truly click, this style of learning greatly suited me. There is also a remote option for the Tech Academy. I have never explored this option myself as I live a 30 minute bus ride away from the school, but there are people who try this option and are successful. There are also job placement people who are extremely good at what they do. They will hold weekly “practice interview” sessions to aid you in acing an interview for a job in the future. I would say, if you're willing to put in the effort and are looking for a coding school that covers a wide range of the popular languages needed in software development nowadays, this is a great school to consider. Thanks for this review! I particularly liked what you mentioned about our testing. We do have checkpoints where your knowledge is tested on theory, but it's done in a way that allows for reflection/restudy as necessary. More focus is put on "Can the person code?" rather than "Can the person pass a test?" More attention on application has proven important when actually working in the industry. I am a current student at The Tech Academy in Portland, Oregon, and been in the program for several weeks now. I love the flexibility that The Tech Academy has offered me! I have been able to study on my own schedule to add a new, concrete skill to my resume and still have the freedom to work as well. Even though I have not fully completed the program as of yet, just being enrolled has helped me to attain a higher profile job with more pay. I'm excited to finish the course and see how much further I can take myself! Before choosing The Tech Academy, I did a great deal of research on which course in the Portland-area I wanted to attend. 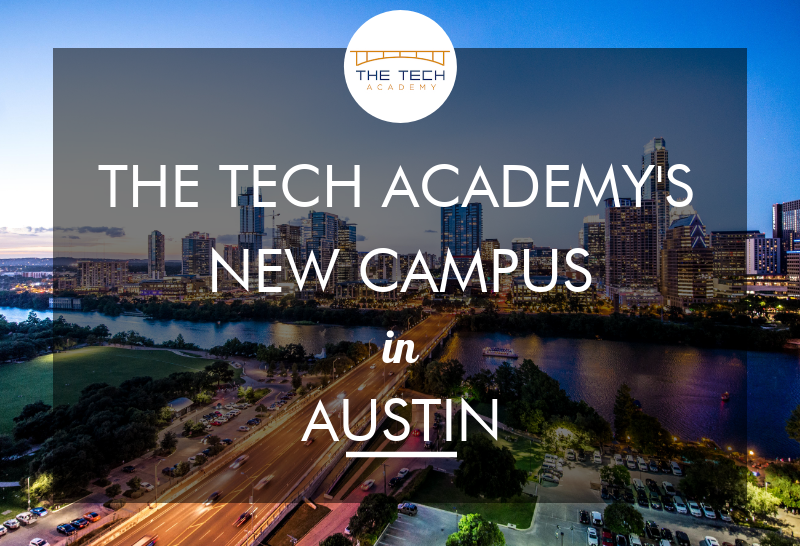 I ultimately chose The Tech Academy for their very extensive and comprehensive bootcamp-style program. You start from the basics and build upon them, which I feel provides a more rooted knowledge of software development. It's impossible to learn everything that you could possibly need to know when delving into the land of computer programming, but The Tech Academy aims to really teach you how to think like a developer and troubleshoot the roadblocks you will come across. There are also a full and friendly staff of instructors and job placement specialists to help you along on your journey. They also host weekly Tech Talks with industry professionials and graduates of the program and meet-ups allowing you to become acquianted with other locals working and studying within the tech world. All in all, I've been very happy with my decision to attend The Tech Academy and am excited to see what future doors will open! Glad to hear that you've enjoyed everything so far, and well done on the upgrade in your job! Thanks for pointing out some of the different aspects of our school, such as the ground-up approach. We do believe having a firm foundation and understanding of computers is an integral component in a successful career as a software developer. 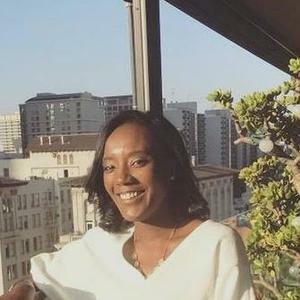 The Tech Academy provided me a broad overview of what I needed to know in the realm of software development and taught me the fundamentals of object oriented programming. The broad exposure allowed me to narrow in on areas of interest. I think that's a really good point. A good percentage of our students starting out on the program know that they want to get into software development, but they're not quite sure which area of this broad and expansive field would be best for them. As part of the curriculum, students learn six or more different programming languages, which include front-end, and back-end development. By the time the student is through the program, they have a better idea of what they want to do, because they have exposure to so many different languages. I have found this helps a lot on job placement because the student is certain and enthusiastic about what they want to do. I recently attended an open house hosted by The Tech Academy. More than anything, they seem to genuinely WANT every student to succeed. They literally have staff members that are available at virtually all times to assist students when they need help (Each one has completed the course him/herself as well). I think that's critical for students. At the open-house I was able to speak with quite a few graduates who spoke very highly of this program. I'm not surprised to see all the 5-star ratings. Glad to hear you made it to one of our Open Houses! We have them every Friday afternoon, so feel free to come to another! My husband was working as a telemarketer and I was employed as a nurse on the graveyard shift. He was always good with computers so we decided to roll the dice and see about him going back to school to learn programming. We looked around and found The Tech Academy. My initial impression of them was good but I remained skeptical. My husband made his way through the coursework. There were ups and downs but altogether he relayed a positive experience to me. He then began applying for jobs and received help from the school's job placement staff. He was able to land a technical job that paid him enough so that I no longer have to work nights and weekends. Because we are now surviving better and on the same schedule, I am very grateful for all the help The Tech Academy has provided us. His attending has changed our lives for the better. Hi! Wow this success is really why I came to work here. I'm so glad to hear that you guys are able to be on the same schedule now and things have totally shifted for you. I hope nothing but success in your future! I’m writing this review for my son as he was forced to sign a waiver that he would not provide a negative online review. Since I paid for the classes, I do feel I have a vested interest to provide an honest review. 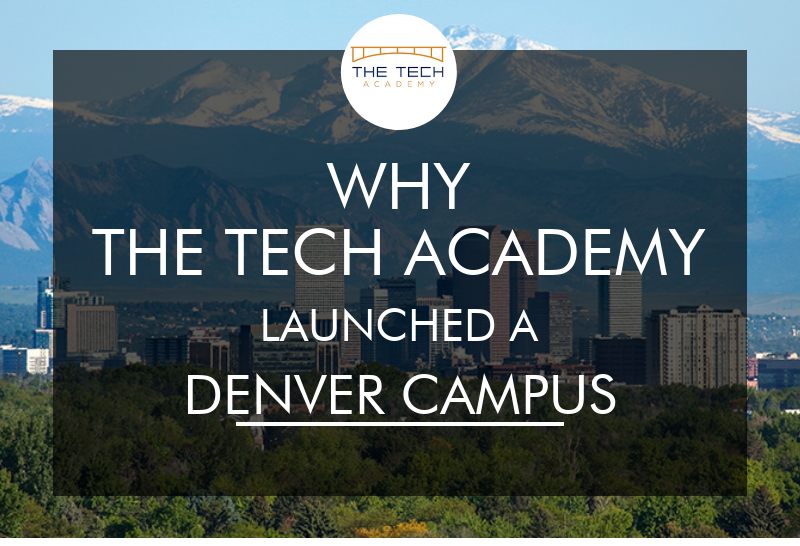 Up front, the Tech Academy served its purpose for my son and it was part of the reason he did get employed in the tech industry; but the program did not live up to the upfront promises. And if you are not the right fit, this would not be a wise investment. The actual successful completion rate in 15 weeks is very rare, some students are still in the program after a year. Some do get discourage and just plain quit. Even though we asked up front, we were told that almost everyone finishes and nobody had quit. Not true. At the very start, they make you take a “personality” test to see if you have the aptitude to succeed. Turns out to be a Scientology personality test. And it almost always finds some flaw. Based on that flaw, they won’t let you sign up, unless you sign a waiver to never write a bad online review (yes, you should be suspicious when all the reviews on the Internet area almost all 4 & 5 stars . . . and yes, some of the reviews are written by the owners and employees of the company). In my opinion, this is just plain trickery. The course topics are appropriate and the school does a good job trying to keep the students focused, motivated and moving forward. Instructors do check in with the students on a very regular basis. The content of the courses is a mixture of books, videos, printed material. About 75% of the learning material comes from the outside world and not created by the school (a non-consistent mishmash of material). And some of the material was inaccurate and not always best practice. Also at the time, they did provide the use of a laptop computer. And the downtown location was open and available almost seven days a week. A great way to build discipline based on a set “work/study’ schedule. The “instructors” are there to help answer questions by email or in person. But the instructors are almost always other students that are still working through the program. This is neither good nor bad, but if you are expecting experience “lecture” sessions in a structured fashion from seasoned professionals, you won’t find it here. REALITY: my son did find that some of the material and instructor help was sometimes off the mark, when compared to previous college level classes. There is no strong emphasis on “good programing” techniques and strategies. Was it worth the $7,000 I paid for my son? I believe it turned out okay for him; but this was only because he had a fair amount of foundation programming education in college and had done quite a bit of self-learning (TreeHouse.com and CodeAcadmy.com) over the previous four years. If you have never had experience, you may struggle; and even with just aptitude, you may only learn the basics and struggle in the future without the strong foundations. (With that said, there are amazing situations where someone is able to become a fabulous coder through their own self-determination, so anything is possible). After finishing the coursework, there was no substantial job placement help; it took about 8 weeks on his own to find a tech job and the effort was his concentrated effort on all the right steps (with 50+ applications and five company interviews). So in the end, this part of his life with the Tech Academy turned out fine; but the school was not what it was advertised, and the reason for the review is to give a more complete picture for prospective students to decide if this is a right fix for them. To offset some of the co-opted favorable review by staff and signed waiver keeping others from providing bad reviews, I am lowering my rating down an extra notch. Hi there! Thank you for sharing your experiences and making your concerns known. Also, I've stayed in contact with your son, and I'm glad to know he's doing well at the company he's working with now and he may come back to the Tech Academy soon to do one of our Friday Tech Talks. Having spoken to your son directly since you wrote this, he has conveyed a different picture to me. In his own words, he enjoyed the program and is happy with his current job. He also mentioned that he would have preferred you had not posted this, since it was him, not you, that took the program. You mentioned that we guarantee a $65,000 job upon completing the program. Perhaps there was a misunderstanding, because we have never made that guarantee. At one point, we promoted 100% job placement rate because all of our graduates had landed jobs after completing. As we've had a higher volume of students come through, the figure has changed to 95%, which we have updated on our website and other media. 95% is still pretty good, and our Job Placement team works very hard to do everything possible for each graduate to get them employed, including thorough resume review, review of cover letters, interview prep for technical and non-technical interviews, as well as unlimited guidance and direction. This is all on top of our Job Placement Course that prepares students for their job search. I personally remember working with your son on his job search and being in touch with him almost every day during his search. He was doing work with a company he and his friends had started, and the company ended up doing so well that he didn't want to search anywhere else for a job. I think that's a pretty big accomplishment, especially considering his last job was at McDonald's. That's a pretty big upgrade. I offered, and still offer today, any additional assistance he might want if he ever chose to seek different employment. The average salary of our graduates was and still is $60,000. We have never guaranteed that. As for the friends of your son who you say are still looking for jobs after completing the program, this is a little hard to respond to, since I don't know who those friends are. I know of one friend of your son who was doing our program, and he mysteriously went out of communication with us in the middle of the program, and we haven't been able to reach him since despite multiple attempts. He never finished, but if he would get back in touch with us, we'd be happy to work with him, so he can get through the program and get a job. You’re totally right in that not everyone who enrolls finishes the program. However, the vast majority do finish. 15 weeks is the average for students who study consistently 40 hours per week. Our program is structured in such a way where students go at their own pace and we’re much more flexible than other boot camps. Thus, we’ve had students who study very aggressively and get through the program in 8 or 9 weeks, and others who are working full-time jobs and who only study 20 hours per week, who end up taking closer to 30 weeks on the program. You mentioned that we have students sign a waiver that they will never write a negative review. I want to clarify this: we have students take entry testing. One of the purposes of this testing is to locate negative personality types that are hyper-critical and will cause problems on the program. A couple years ago, one of our Registration Directors (Morgan) was using a "loophole" for students that failed entry testing. 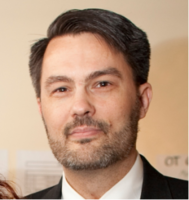 He created a waiver that protected the school from potentially problematic students and it included in it that these students that failed our entry testing would not attack the school publicly (since it was already clear from their entry testing and our experiences with them that they were highly critical). But there has never been a statement that we require 5 star reviews. Very few people ever signed the waiver and our Co-Founder canceled its use over a year ago (I estimate only 10 out of the 300+ people we've signed up ever signed it). None of the reviews on this site are from one of the very few students that signed this waiver. Tech Academy students and graduates are free to write whatever reviews they'd like and they have. Thank you for acknowledging the persistence of our instructors to motivate and encourage the students on the program. And yes, the curriculum does include include books, videos, and printed material and we do use outside sources. We make that very clear in our registration video before any students enroll. It’s a very large task, but we are working on a project to make all of our content original. We do highly promote best practices. I’m not sure where you got the idea we don’t, especially since you haven’t seen our materials yourself since you never enrolled with us. We do, however, have a system wherein any error in the material can be reported directly to our Quality Control Director, who rapidly updates the curriculum with the necessary improvements. In this way, we’ve continually been able to keep our curriculum up-to-date. All of our instructors are graduates of our program. Due to the self-paced aspect of the curriculum, they aren’t always lecturing in front of the class - you’re totally right about that. We do, however, invite a professional from the tech community to come in to the school and speak at the Tech Talks we have every Friday, which we Live Stream for our remote students as well. You mentioned that your son didn’t receive substantial job assistance after completing the coursework. A lot of the job assistance given is actually during the coursework in the “Job Placement Course” that every student does. During the course, the student learns the essentials on how to find a job, how to write an excellent tech resume, how to write a good cover letter, how to interview well, and more. We don’t guarantee a job, and we make it clear that it is 100% the responsibility of the student to get hired, but we do everything in our power to ensure it happens. I personally thoroughly reviewed your son’s resume, checked off on his cover letter template, did mock interviews with him, and stayed in close communication with him while he was searching for a job and called him almost every day to give him guidance, and he did get a job, which he was very happy about. If there's anything you don't feel I've addressed, please call or email me directly. Our door is still open for your son if he needs anything and he knows that. Again, I’d like to thank you for your review. There were some valid points, which have long since been corrected. We are a relatively new company and always try to learn from mistakes and constantly better ourselves. If you’d like to discuss this further, or if you have any other concerns you would like addressed, please send me an email at techacademyjobplacement@learncodinganywhere.com or call me at (503)206-6915. I started the program at the Tech Academy at the age of 58. I have had no experience with coding and wondered if someone with as little experience and as old as I was could do this program. Upon being around the other students here, I have seen the excitement of the newer and older students doing this program. Upon talking to the other students, I have only heard positive comments about their experience here. Once when I was in the office, I witnessed a graduated student that walked into the office say how happy he was with the job he had and how his income was much higher than it was before attending the Tech Academy. I think this is a program that many people can do if they have the desire to do it. Wow that's really great to hear! And you're totally right: we designed the program so that even people with no exposure to coding can get through it. And for those who do have coding experience, the program validates and solidifies their understanding of core concepts. Glad to hear you're enjoying the program so far, and keep it up!